My sister Kate loves terrariums and I would have loved to make her one for her birthday a couple of weeks ago. Unfortunately since she lives in London and I’m here in New York, it wasn’t really possible. 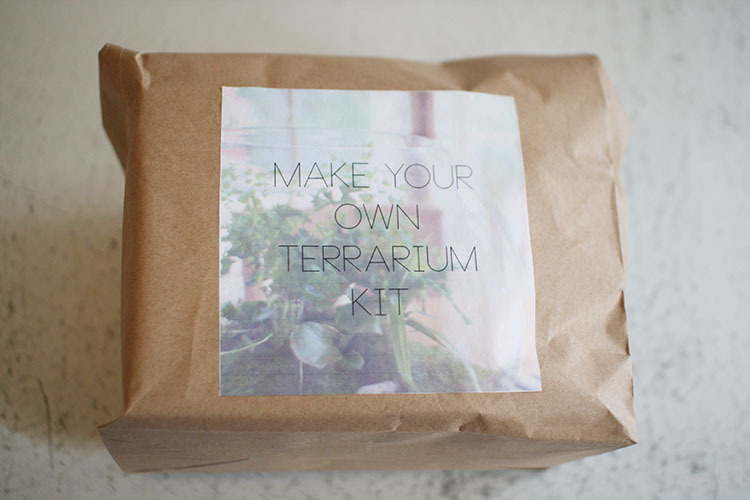 Instead I decided to make her this DIY terrarium kit. 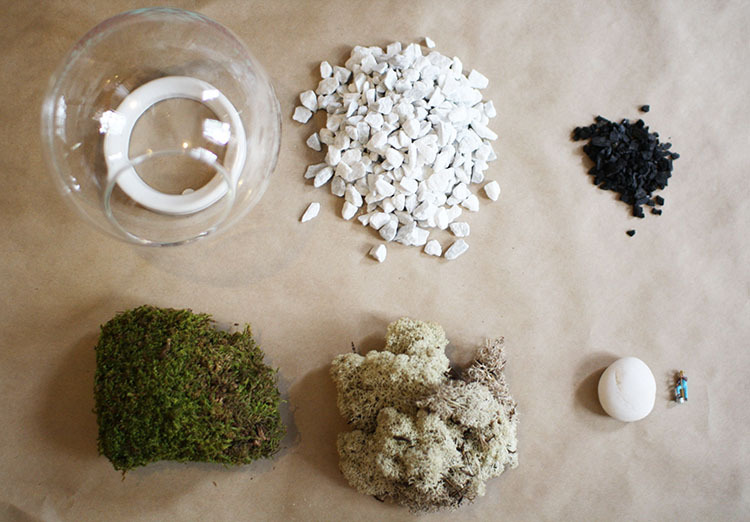 I included a little bag of pebbles, a little bag of charcoal, some sphagnum moss, some living moss (dried), some preserved reindeer moss, a decorative pebble, a tiny figurine and a glass bowl and stand. Then I packaged it all up with instructions on what she needed to add (potting mix and some tiny plants) and how she should put it together and care for it. It was really fun to do and I think she really liked it! I’m looking forward to seeing some photos of the finished terrarium! 07 Jun	This entry was published on June 7, 2014 at 5:32 pm. It’s filed under make and tagged DIY, give, green, grow, ideas, make, nature, plants, terrariums. Bookmark the permalink. Follow any comments here with the RSS feed for this post.